Whether you're looking for clearance costume jewelry or fine jewelry at sale prices, buying discount jewelry is an affordable way for savvy consumers to purchase the jewelry they love. Certain times of the year, many retailers offer deep price discounts on their jewelry selections. You can find prices 40% to 80% off of the original prices if you time your jewelry buying right. In the weeks before major holidays, many department stores and jewelry retailers offer excellent deals. The weeks before Christmas and Valentine's Day are two of the biggest money makers for jewelry, and you can bet you'll find sales that will promote the sales even further. Seasonal sales are another good way to find discount jewelry. Although some consumers may think that it's best to wait until the very end of a season to look for discounts, you actually want to start finding the bargains in mid-season. At this point the merchandise for the next season will start pouring in and the current season's merchandise will begin getting marked down. You'll also find that by starting to look for sale-priced jewelry mid-season, you'll have a much greater selection than waiting until the season is over. Many department stores have semi-annual sales during the year, often during June and January or September and February. Shopping for jewelry during these sales may yield incredible savings. Another avenue for finding discount jewelry is going-out-of business sales. 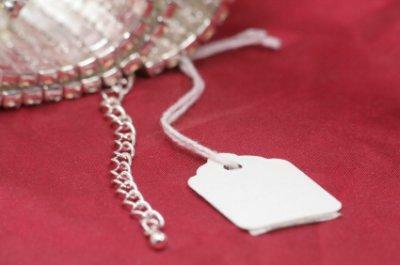 Be careful when shopping this type of sale, however, to make sure the jewelry is of the quality you want. Sometimes stores with excellent merchandise go under, and you can find many deals to your advantage -- but if it's a retailer with a questionable reputation, you may want to avoid purchasing your jewelry there. Sign up for all you favorite jewelry stores and department stores with jewelry departments online. Most send e-mail alerts or "sneak peaks" at upcoming sales, discounts, and even offer special coupons to online consumers. Before heading off to shop just anywhere, check out the ads in your local Sunday paper for the best discount jewelry deals, and head there. Don't dismiss small jewelry stores. Small jewelry business owners may offer special deals to boost their sales. Try something different. If you always go for the same jewelry styles, go for a different look next time you're on the discount jewelry prowl. You might be passing over the perfect piece and find a new style all your own --without spending a fortune on your jewelry. The soldering and joints: They should be smooth. The metal itself: It should not be porous. Weight: In most cases genuine metals are heavier than plated metals. Prongs and settings: Prongs should be formed carefully and stones set correctly. The overall look and feel: Shoddy craftsmanship and flimsy materials may prove that the items are not genuine.